Everyone can have a maximum of 3 entries, entries must be in by next Wednesday (Nov 30th) and All Entries Must Be PG-13. Yeah, I like Freeman’s mind. Oh man! Did I piss off Aquaman? 1. YIKES. I was safer fighting an interplanetary WAR. 2. Just keep swimming . . . OKAY, OKAY! No more Dora impressions. 3. Shark sandwich?! Playing Chicken Of The Sea? Sorry about that blind date Aquaman, sending two sharks at me is really necessary. Have you guys seen Nemo any where? Here come dinner, I home aqua doesn’t mind. I’m Sorry Arthur… I didn’t know she was your wife! Caption Box: Green Lantern learns why paying Aquaman a surprise visit is not a good idea. 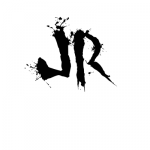 @JR19759: I just realize that time travel is a requirement for this contest. Because on my calendar “November 16” was last week. So unless you are using a different calendar or a Time Lord, nobody can win this one. @JR19759: I just realize that time travel is a requirement for this contest.Because on my calendar “November 16” was last week.So unless you are using a different calendar or a Time Lord, nobody can win this one. I guess I’ll just have to change the closing date then. As a Green Lantern fan (and a member of the Green Lantern Corps of Arizona) I will do my best to give three lines relating to this. Also, I’m a selachiaphobe (afraid to death of sharks). 1. Okay, Bruce, you’ve been keeping great care of your teeth since our last visit. 2. Do the two of you know where I can find Atlantis? 3. Is green your favorite color too? NEVER hit on Mera at the JLA Xmas party again. Boxes: Deep in the Atlantic…Hal Jordan faces the perils of the deep with all the dignity of the Green Lantern Corps. 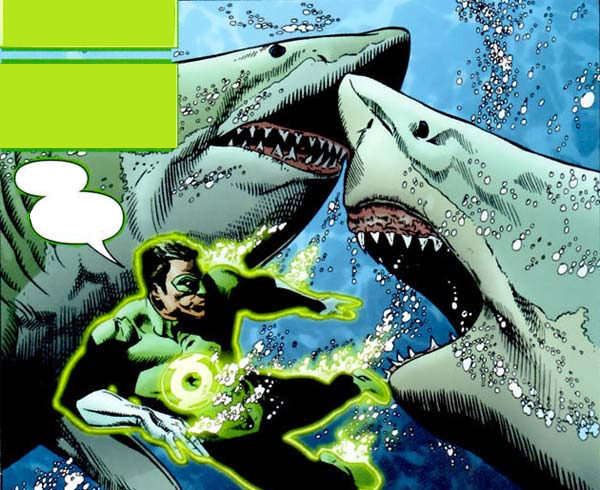 Green Lantern: Baby Shark Doo Doo Doo Doo Doo Doo. Sorry about closing this one late everyone. I wasn’t very well yesterday and today I don’t have access to my computer to do the full post for the result with the captioned picture and everything.